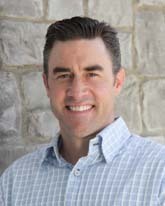 Dr. Jon (JJ) Campbell was raised in Valley Center, California. He graduated from Orange Glen High School here in Escondido then went on to Cal State University, San Marcos. Dr. Campbell attended Case Western Reserve University School of Dental Medicine, where he graduated in the top of his clinical class. Dr. Campbell and his wife Becky are parents of 4 active boys and one beautiful little girl. He is active in the Escondido community coaching several of his boys sports teams. He serves as a volunteer leader for his church and is an active member with the Boy Scouts of America. Dr. Campbell loves to play volleyball, wakeboard, scuba dive, and just about anything that lets him be active and outside. His new found love is playing catch with his boys, and an occasional tea party with his little girl! Dr. Campbell is a member of the Americal Dental Association (ADA), the California Dental Association (CDA), and the San Diego County Dental Society. He will forever be a student of dentistry as he attends continuing education classes to keep current on the latest techniques in dentistry.